2 Carat Russian wedding ring set, created with pavé diamonds across an elaborate 3 band design. The Pavé Russian Wedding Rings combine a total of 2 carats of Round Brilliant cut Diamonds, encrusted over three interlinked bands. Shown in a tri-colour option, this design can be made as a trio of Platinum, or 18ct White Gold, with 18ct Yellow Gold and 18ct Rose Gold. 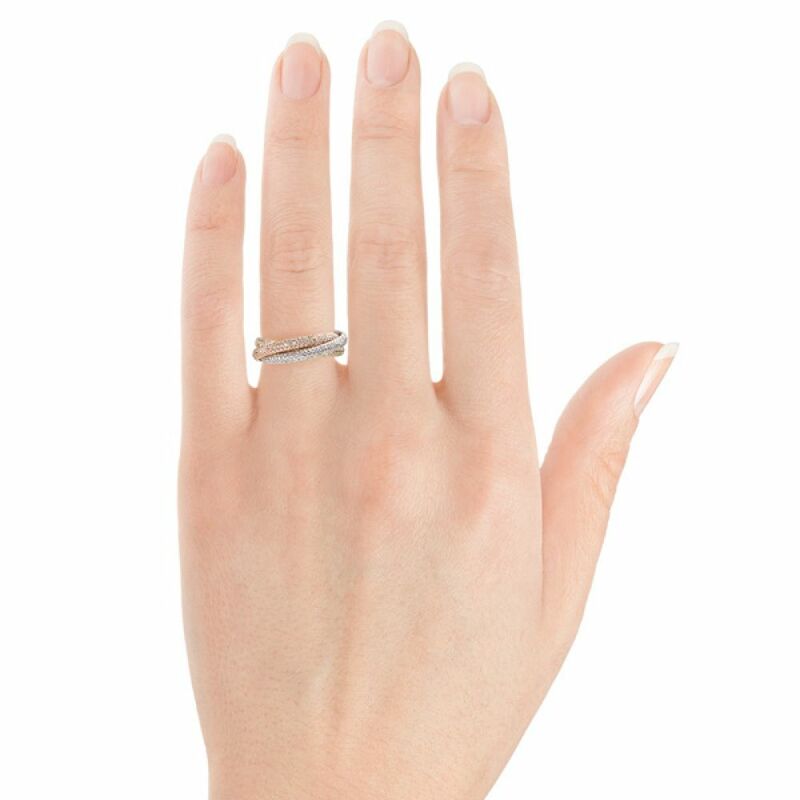 Alternatively this design can be crafted in one precious metal across all three rings. 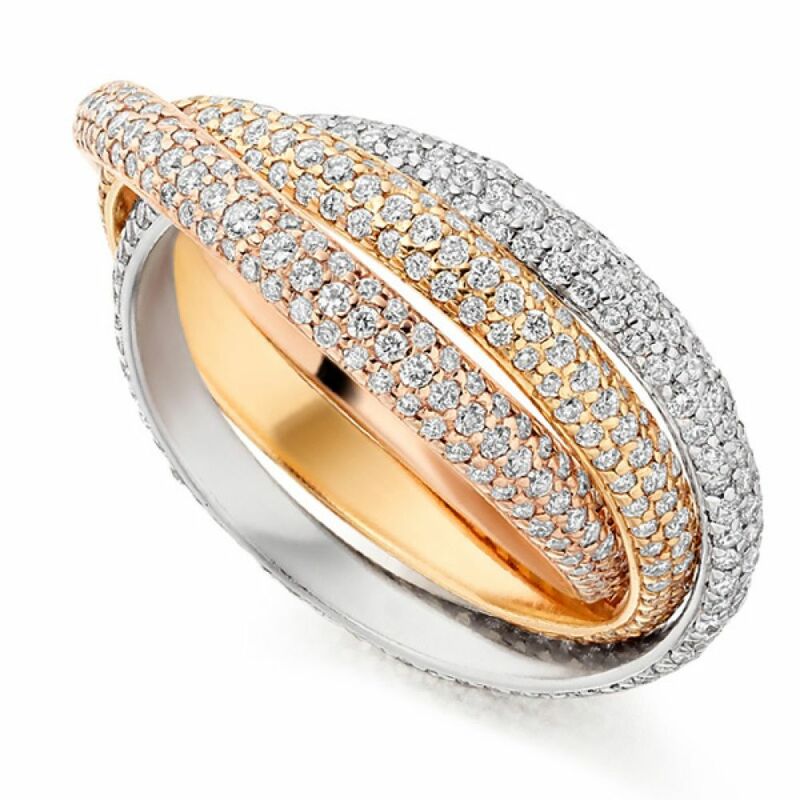 Each band measures 2.7mm in width, fully pavé set with exceptionally bright dazzling white Diamonds. Each Diamond has been expertly graded F Colour and VS1 Clarity prior to being set into the rings. 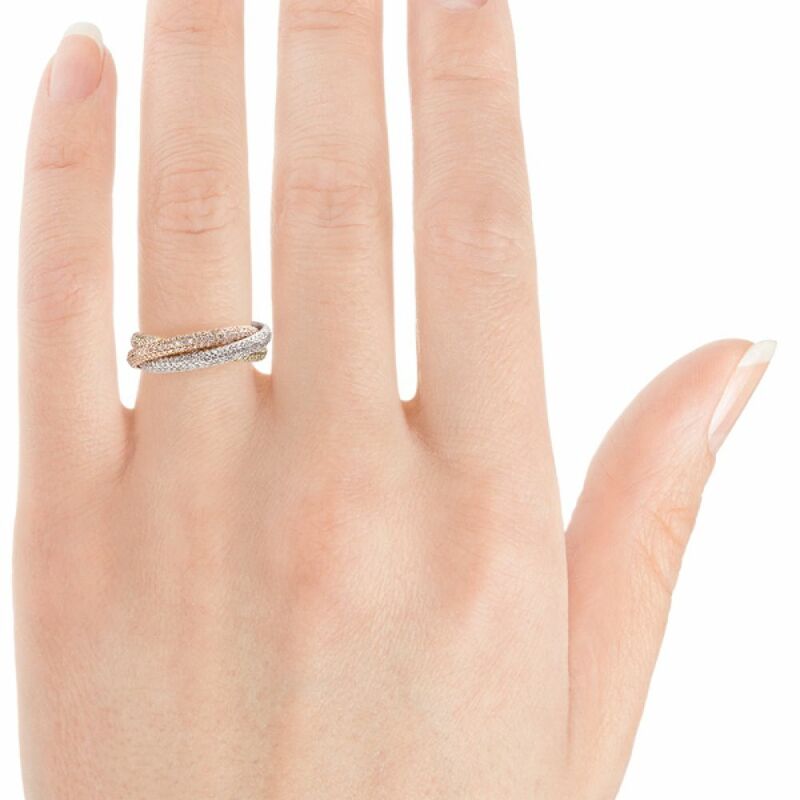 Please allow us approximately 4 weeks to craft your ring in your chosen precious metal combination. Your rings will the be delivered straight to your door by a secure courier, presented in our luxurious Serendipity Diamonds packaging.